In recognition of National Pet Month’s 30th birthday we’ve been baking! 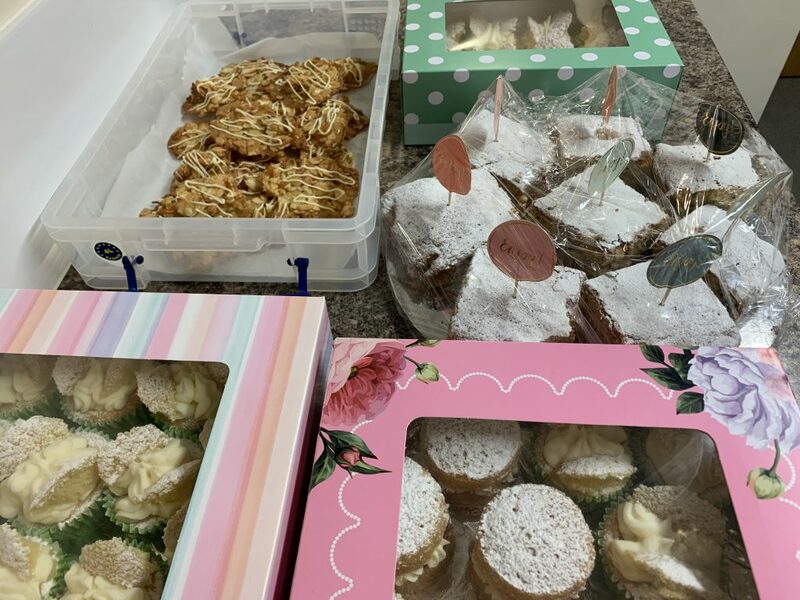 We are selling home-made cakes in practice all this week to raise money for The Cinnamon Trust, the official charity for the elderly, the terminally ill and their pets. Please pop in and support us! In exchange for a donation, you can take home cakes from a daily selection of fresh deliciousness. On today’s menu we have vanilla buttercream butterfly cakes, Victoria sponge cupcakes, florentines and pear and chocolate cake baked by our receptionist Jo and our vets Carole and Selenia. Come in and indulge – or ring and let us know if you’d like us to put some cakes aside for you to come and collect later! Pets show us unconditional love and warmth, can bring comfort, relieve loneliness, lift our spirits when we are down, and can give us confidence and reassurance. The Cinnamon Trust do brilliant work helping to keep elderly and terminally ill pet owners and their pets together, preserving this special bond so important to wellbeing and quality of life. Support from the Cinnamon Trust may come in practical form, such as dog-walking for a housebound owner. Or it may involve fostering a pet for an owner that needs to spend a spell in hospital, so that pet and owner can be reunited post treatment. The Trust also give owners peace of mind that should they die, or need to move to residential accommodation where pets are not allowed, their faithful friends will be loved and looked after and have a safe and happy future with The Cinnamon Trust. Click here to read some really heart-warming case studies. We’d love to raise as much as we can to help pets in The Cinnamon Trust’s care. Come and buy!